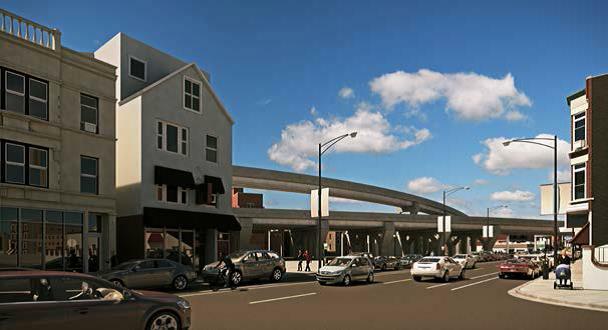 Here’s Clark Street, with imagined buildings that won’t fit on the lots left after Flyover construction. Clark St. again, this time without fake buildings. 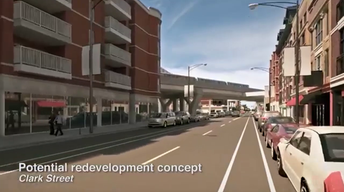 Just a view of the Skyway-style Flyover – now pushed way, way off in the distance somehow. A close-up of the Flyover, now just scraping over the Red & Purple lines, no room for trains. And a new building imagined squeezed between the tracks. 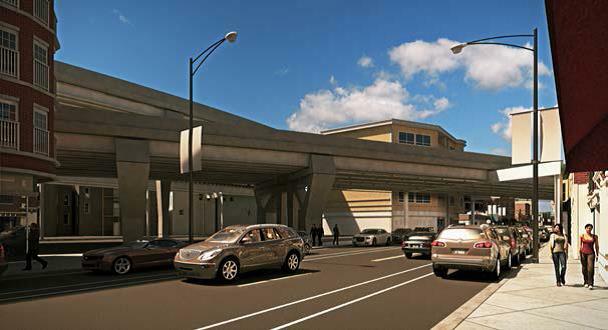 Wed. Oct 18 – CTA Post-Flyover Planning Meeting – Please Attend, Comment!